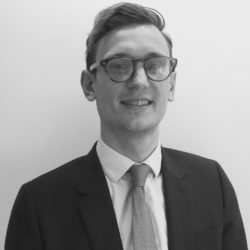 Charlie Pembroke is a Senior Associate at Critical Resource and has worked on client assignments in Latin America and Europe, particularly with mining and private equity clients. Charlie is the lead coordinator of Critical Resource’s advisory network and Senior Advisory Panel. Charlie joined Critical Resource from PGI Intelligence where he worked on political risk and market entry projects for resource companies across Sub-Saharan Africa, with a particular focus on countries in East Africa and the Great Lakes Region. In 2014-15 he spent a year in Uganda where he worked as a freelance journalist for a number of publications, providing original research and investigations relating to natural resource management, politics, corruption and infrastructure development. Charlie holds a MA with distinction in Conflict, Security and Development from King’s College London and a BA in History from the same university.